Flanked by the tech hub of SOMA and positioned in the healthcare center of Mission Bay, the Mission Bay Conference Center is just down the street from Rock Health, and part of an array of new research, industrial, academic, and government structures at the forefront of healthcare innovation. The Mission Bay Conference Center (1675 Owens Street) is accessible by the T line, ride share, and has an adjacent parking facility. 1625 Owens St. Parking Garage is located next to the Mission Bay Conference Center. The hourly parking rate for the garages is $4 an hour on weekdays, with a maximum of $32 a day. For patrons with a disability placard, the daily maximum is $7. UCSF Medical Center at Mission Bay is accessible via the following Muni bus routes. You can plan your trip on public transportation using 511.org. T-Third Metro Line picks up at the 4th and King Street Caltrain Station and the Embarcadero BART station. Disembark at the UCSF Mission Bay Station on 3rd Street opposite the campus. 22 picks up in the Marina, Western Addition, and Mission Districts. Disembark at the 12th and 3rd Street stop. 55 picks up in the Mission District and drops-off at the 3rd St and Gene Friend Way stop opposite the campus. The drop-off and pick-up location for rideshares is the venue address: 1675 Owens St. 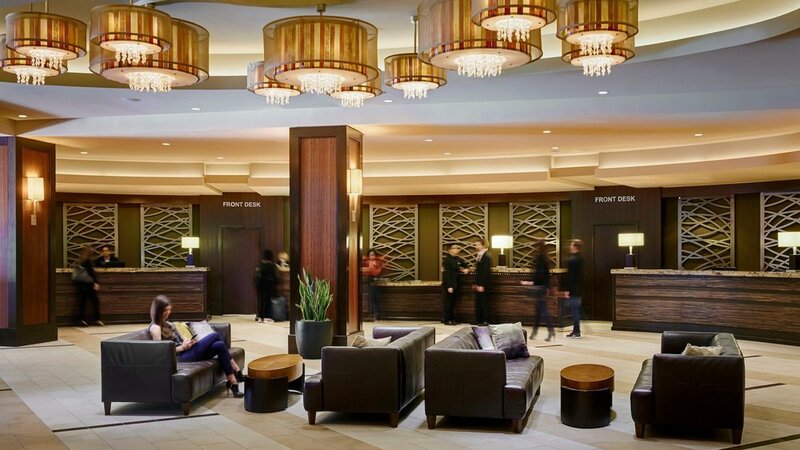 There are many amazing hotels in the SF area located nearby the Mission Bay Conference Center—below are some suggestions to get you started!